Place a few of your favourte fresh or dried stems in Amalfi's Cooper Vases to enliven any space. 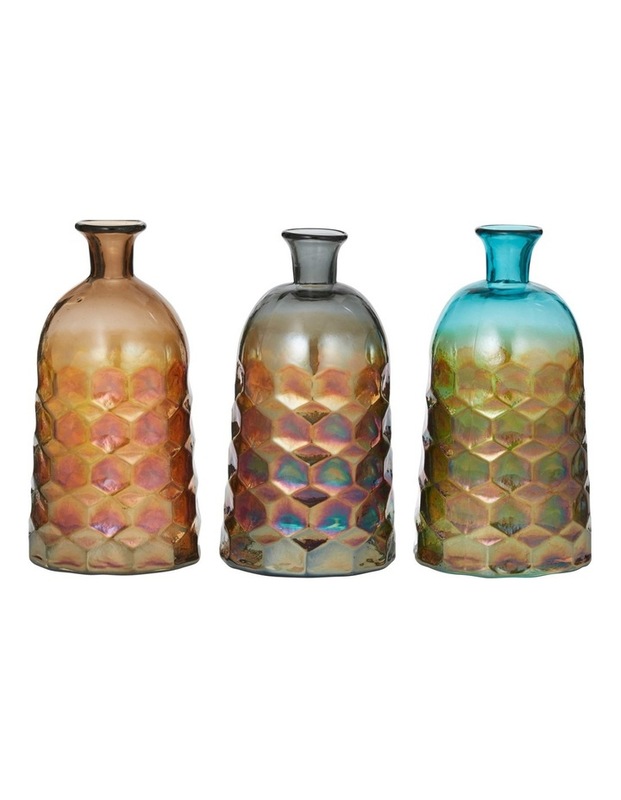 Each of these vases feature a unique yet complementary ombre design, in colours that could be described as copper, smoke and teal. The stylish tinted glass with its beautifully embossed texture will provide a sophisticated and earthy look to your home decor. Equally stunning displayed either empty or with a small arrangement inside, these vases are perfect for your bedside table, dressing table, coffee table, countertop or shelf to cultivate a warm ambience. The perfect housewarming or other gift. 100% glass.